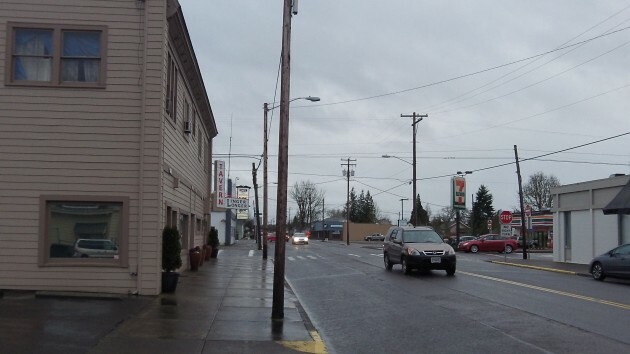 “Streetscape” improvements along Main Street have been suggested for CARA funding. Water Avenue, another candidate for CARA spending on a better streetscape. CARA, the Albany urban renewal program, is about to take the plunge and decide how to spend up to $3.1 million it planned to borrow this budget year. To help it decide, the city council might look for clues in the online survey it has just concluded. Among the roughly 1,800 people who answered the survey, the city’s exertions on economic development got the second lowest average rating of all city services. Only snow and ice removal ranked lower. The city can do little about the rare blizzard. 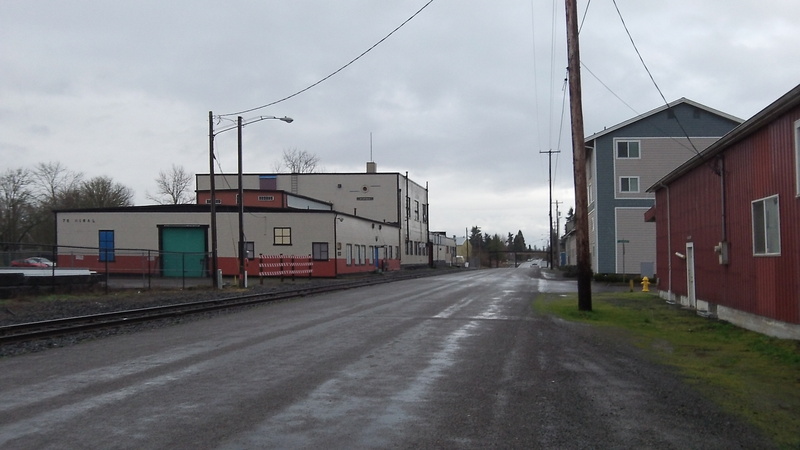 But with the millions borrowed and then spent in the downtown renewal district, it could insist on more tangible results in terms of economic gain. Earlier, the CARA advisory board, which includes the mayor and city council, resolved that it would spend the $3.1 million on “public infrastructure.” This is a good idea if it is tied to concrete or a least plausible development proposals that add to the city’s economy and tax base. So far the outlook for success in that department looks not so hot. On Wednesday (Feb. 19, 2014), the CARA advisory board will review six potential projects, all taken, as they must be, from the long list of possible CARA projects adopted when the district was formed in 2001. These six were suggested by Kate Porsche, the economic development and urban renewal director. Here they are: 1. “Streetscape” improvements along a segment of Water Avenue; 2. “Albany Square,” envisioned as a public space downtown; 3. “Streetscape” improvements along Second and Third Avenues downtown. (“Streetscape,” by the way, usually means new sidewalks, perhaps attractive surfacing, and trees, lights, landscaping, benches and maybe trash cans and bike racks.) 4. “Streetscape” improvements along Main Street, considered a blighted area. 5. Widening and adding viewpoints to the Dave Clark Path along the Willamette River; and 6. Developing a walkway along the Thurston Street canal, reduced to a small ditch in the 1970s. Hasso-perhaps you missed the idea of CARA monies being used to replace Fire Station 11. That idea was floated at the last fire/police public safety cmte meeting. 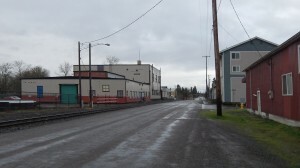 Station 11 sets right in the downtown CARA district. A recent letter to ADH editor gave good reasons for supporting that source of funding. Some have said nearby property values will increase with a new station and improving fire services should spur investment in downtown. I hope you’ll look favorablly on the idea. What could a property owner gain? You’ll need to ask Chief Bradner. He told the Police/Fire Committee that residents along Baker Street support a new station because they think it will increase their property values. But your concern misses the mark. CARA has never been about curing “blight” or stimulating “economic activity.” There is a long list of wasteful CARA projects in support of this assertion. Now it appears CARA will administer another self-inflicted wound. Why rush to spend on non-vital projects like streetscapes while essentials like police and fire facilities go begging? Spending CARA money on police/fire facilities would avoid a tax levy and allow us to keep more of our money. Those millions would trickle across into the private economy. In other words, spending CARA money on public safety facilities would certainly prompt some economic activity. Aww c,mon Hasso, you’re being a little hard on the “Streetscape” projects, aren’t you? After all, if we don’t have new sidewalks we won’t have anywhere to walk once the city burns down! How will we be able to walk amongst the rubble and reminisce without “sidewalks to nowhere”? This just shows the negligence and prorities of this City Council. They consider a plan conceived 20 years ago more important than Police and Fire protection. I can hear it now – “Sidewalks, not Police” – this will be their rallying cry as they fight for a new CARA spending spree. Meanwhile, the already overburdened taxpayer will be expected to shoulder yet another increase in government spending – this on top of new obamacare expenditures and new federal regulations. Rather than planning ahead for this expense, using CARA money to curtail a new bond, the city just plain expects the taxpayer to go along with their vision of how it ought to work and support a bond measure. They’re manipulating us folks. They’ve planned this long in advance. They’ve known about needing new Police and Fire facilities for almost 20 years now. Instead of planning it out, they’ve wasted tax dollars on “urban renewal” projects and “sidewalks to nowhere”. I drive Third Street at least 3 times a week going to church. Every time I go on the section fronting the Albany Christian School I wonder who is supposed to maintain this street. I think taxpayers along there are not getting anything for their money. Good streets would improve the historical section of Albany.